I’m a Scientist November 2013: Who’s taking part? I’m a Scientist: Get me out of here! is back from 11th–22nd November with 4 new zones, 20 scientists, and 100 classes. With nearly three applicants for every scientist’s place, there was fierce competition. After weeks of sifting applications and single sentence summaries, we’re ready to announce our scientists, and the schools who will be not so silently judging them. 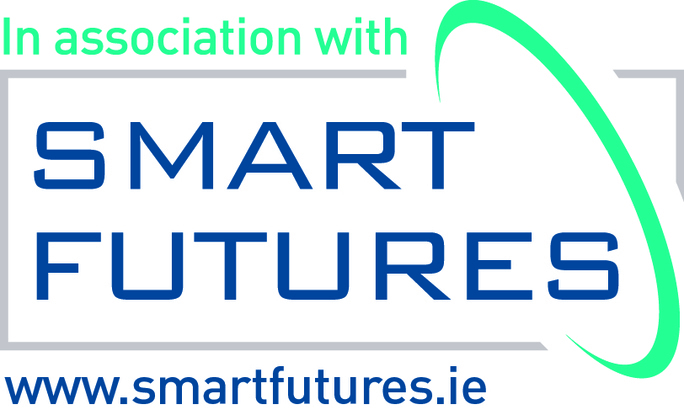 We’d like to thank Science Foundation Ireland for providing funding for the event; as well as the Institute of Physics in Ireland for funding the Nanotechnology Zone, and ESERO Ireland for funding the Space Zone. Trinity College Dublin I work with really tiny devices to try and destroy one of the worlds largest killers; Heart Disease. Trinity College Dublin I study how really small objects interact with light, electricity, and energy differently than large objects do, and try to use what I learn to design electronics that behave like the brain. Trinity College Dublin I take the thinnest sheets of carbon possible (graphene); put dots of a magnetic metal on top; run electrical current through it; then put the whole thing in a strong magnetic field to see what it does! Trinity College Dublin I’m a nanoscientist – essentially I play with Lego on length scales smaller than a virus. Dublin City University I use a massive UV Laser to make shapes that are millionths of a millimetre big out of silver, which have crazy effects on light, and can be used to detect cancer easier. University College Dublin My phd involves modelling the surfaces of cool stars and later combining my predictions with data taken across sub – millimetre and millimetre wavelengths. Trinity College Dublin Although I’m an expert in dying stars, I spend most of my time time researching ways to make learning science more fun by freezing, levitating or exploding things for anyone that is interested! University of Oviedo, Asturias, Spain I work on the mysterious 95% of our universe NOT described by the Standard Model of particle physics, so in short, everything else! N.U.I. Maynooth Designing space telescope cameras to search for answers to how stars and galaxies form and change, and even to search for the evidence of alien life. University College Cork I’ve got big ideas for little things – my work on bacteria and secret compartments within them will potentially change how we use bacteria in our everyday lives! Trinity College Dublin I use robots to dive for sea urchins in cold water coral reefs that grow very deep (1500m!) in the ocean; I study these reefs so that we can better understand and conserve these vulnerable ecosystems. Trinity College Dublin I study the evolution of tenrecs; a weird family of mammals from Madgascar which includes an amazing mix of different species that look like moles, shrews, hedgehogs and otters even though they’re actually more closely related to elephants and aardvarks! University College Cork We use computer simulations to develop new materials that use light energy from the sun to make fuel from water and carbon dioxide. University of Limerick Bubbles are really light so they float but, for some reason, Guinness bubbles sink; we use maths and physics to solve this mystery!